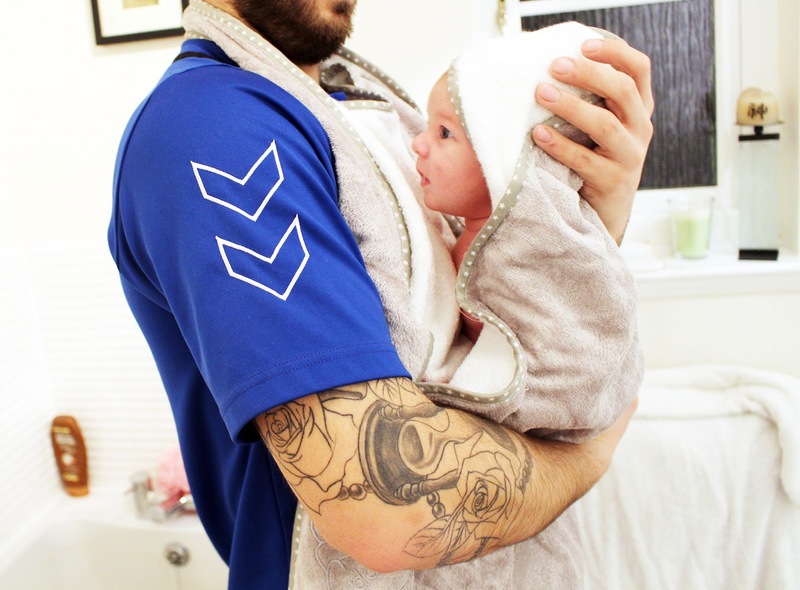 The Original Cuddledry Bath Towel is a hands free way to get your baby out of the bath and snug as a bug stress free, or at least so they say. I got this towel when I was pregnant, and dare I say, completely forgot about it up until now. This post is not sponsored nor were we sent this product to review, the concept is just such an interesting one that I couldn't help but want to share my experience with it. Harrison hated bath-time initially - every night without fail he'd squeal blue murder the minute he touched the water; it was a two person task, one to hold and wash the child, another to hold the dummy in place in an effort to prevent him from waking the full street. At a month old, he's now officially a water baby. No matter how unsettled he is throughout the day, within seconds of being in the tub he's relaxed and content, at peace with the rubber ducks. I can't say his love for bathtime was down to the Cuddledry Towel, but it did help us with the transition of getting him out of the bath without the squeals, that much it was responsible for. After you manage to settle a baby in the bath, whether that is a struggle or not for you, little thought is given to how your going to get them out of the tub and into a towel with only two hands at your disposal. The transition from the warm cosy water surrounding them, to the cold air while you faff for a towel is enough to wake up the neighbours you've tried so hard not to alert already. 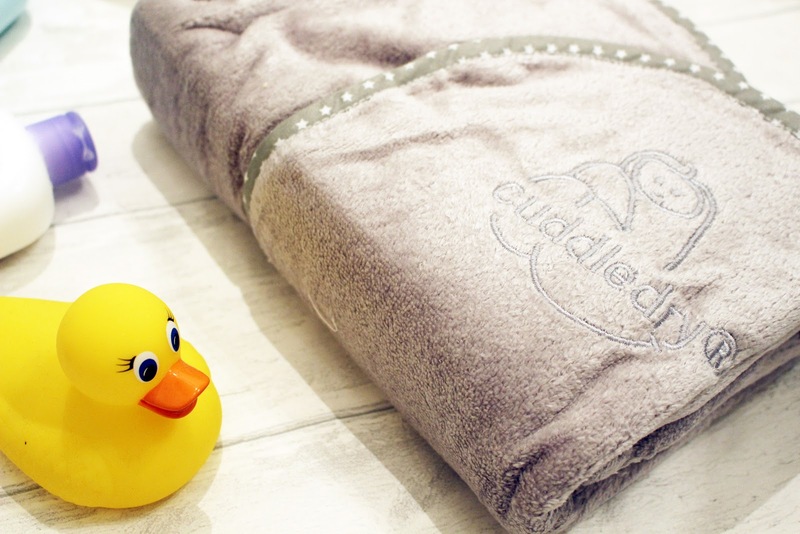 Where Cuddledry differs from a normal bath towel is the style; it's in style of an apron, with a neck loop that allows you to bathe your baby whilst still holding the towel. 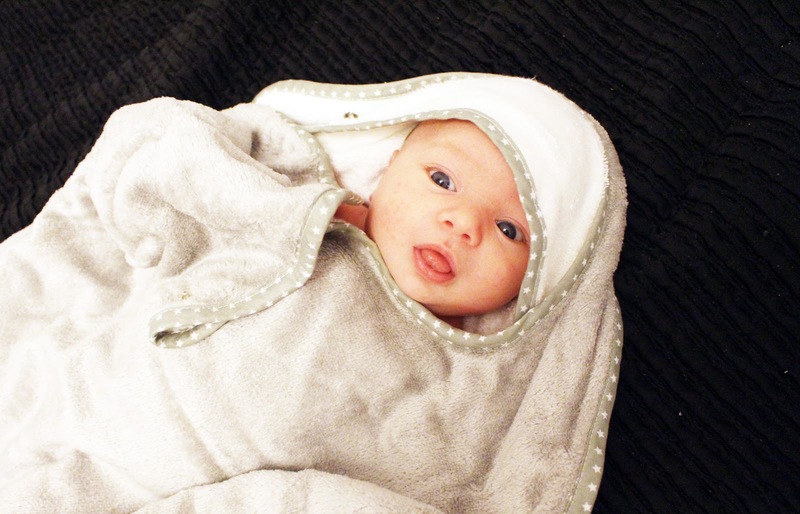 When it comes to taking the little ones out of the bath, your already wearing the towel, so it's a matter of flipping the hood up over them, and snuggling them in: cuddle them dry - cuddledry. Genius. It was a simple enough towel, yet I managed to confuse myself within seconds of taking it out of the box. This says nothing for the towel though and everything for me, Jordan fastened and slipped around his neck instantly, my baby brain is obviously out in force right now. In terms of pros, it does what it says on the box. It allows parents to go hands free and makes getting a baby out of a bath stress free and less of a faff. It's soft, thick and great quality, and the fact that it's aimed at babies rather than children means that the little hood is not overly big and fits nicely on his teeny head. We have the soft grey with star lining, so it's a cute little addition to Harrison's collection of towels and blankets. It's also made of bamboo and pure cotton, which means it's supposedly 60% more absorbant that a normal towel - I'll be honest here, normal towels generally do the trick anyway, so the absorbancy wasn't a big selling factor for me here. It all came down to how much it would reduce the stress of bath-time with a newborn, as a new mum, I was apprehensive at the thought of bathing him by myself, so any product that would make me feel even a little more confident, would make all the difference. The only con for me, is the price. The Cuddledry Bath Towel retails at £29.99. which for a bath towel I find pretty pricey. I am comparing this to normal bath towels I suppose, and the whole point of this towel is that it's not just a normal towel. £30 for peace of mind and ease of use is worth it in the long run. If I could recommend anything right now, it would be giving this as a gift for new mums. I'd have loved to receive this as a present before having Harisson, as it really did give me a bit of reassurance during bathtime, which is sometimes all you need as a new mum. Also, let's just appreciate how happy Harrison looks all snuggled up in his.. Although we have the Grey Stars towel, they currently have the Cuddledeer - which is a Christmas themed version, so let's face it, in the run up to the festive period that's always going to be the version I'd recommend. Also, depending on when your reading this review, Boots are doing 3 for 2 on all Baby Nursery items, so if your pregnant and stocking up on essentials you could save yourself up to £30 if including this.